We are committed to protecting the confidentiality of your medical information, and are required by law to do so. This notice describes how we may use your medical information within the Hospital and how we may disclose it to others outside the Hospital. This notice also describes the rights you have concerning your own medical information. Please review it carefully and let us know if you have questions. A "patient grievance" is a written or oral complaint (when the oral complaint about patient care is not resolved at the time of the complaint by staff present) by a patient, or the patient's representative, regarding the patient's quality of care, abuse or neglect, issues related to the hospital's compliance with the CMS Hospital Conditions of Participation (CoP), disability violation, or a Medicare beneficiary billing complaint related to rights and limitations provided by 42 CFR §489. 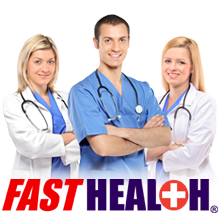 "Staff present" includes any hospital staff present at the time of the complaint or who can quickly be at the patient's location (i.e. nursing, administration, nursing supervisors, patient advocates, etc.) to resolve the patient's complaint. 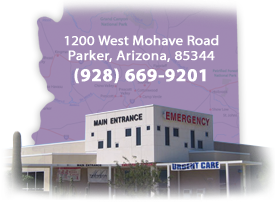 La Paz Regional Hospital Board, Administration, Medical Staff and Hospital staff are all committed to actively seeking, listening, and responding to the needs, preferences, concerns, and grievances of our patients and their families. It is the policy of this organization to encourage patients to express any and all concerns in order to identify opportunities to enhance patient care services. Click here to view the patient grievance policy and procedure.